Metal credit cards offer more protection and clout than their plastic counterparts, but not all card options are created equal. Popular metal credit cards include options from Chase, American Express, J.P. Morgan, and more, and each offers their own perks and benefits. Credit cards have been used as a form of payment for over half a century but they had a subtle start. Since that time, consumers have moved away from swiping cardboard cards to using heavy-duty metal credit cards with a slew of rewards and perks. The biggest attraction to metal credit cards for most consumers is what’s known as the plunk factor. When taking your card out to pay for anything from a coffee before work to a big-ticket item, a metal credit card has a certain heft not found with plastic cards. Although metal credit cards have been growing in popularity, many card issuers initially targeted the ultra-wealthy as customers. Now, many credit card companies realize how sought-after metal credit cards are, and have developed metal options for just about anyone in the market for a new credit card. While the draw to metal credit cards is serious for some, not all credit cards are created with the same benefits, rewards, or fees. You should still consider these factors when getting a new card. It is also important to understand that destroying a metal credit card is not as simple as a plastic one. You will likely need to send in the old card for destruction if you reach your expiration date or your card is otherwise compromised — if you try to destroy it yourself, you may quickly find out that it is much easier said than done. The Chase Sapphire Preferred credit card is a popular choice for a metal credit card for frequent travelers, as well as those who like an affordable option. The card itself does not carry as much weight as other metal credit cards on the list because it only has metal sandwiched between two thin layers of plastic. However, the Chase Sapphire Preferred credit card will not only get you compliments based on its weight and subtle sheen — it will also get you perks that no other credit card at its level can provide. Rewards: Cardmembers earn two times the points on all travel and dining at restaurant purchases and one point per dollar on all other purchases. There is also a 25% bonus added to points value when redeemed for airfare, hotels, car rentals, and cruises booked through the Chase Ultimate Rewards site. Pros: The rewards are hard to beat with the Chase Sapphire Preferred credit card for the cost. The sign-up bonus is also substantial, equating to a $625 value when redeemed for travel through the Ultimate Rewards platform. Cardmembers pay a low annual fee for a metal credit card with some heft, and points earned can be transferred to partner loyalty programs at a one-to-one ratio. Cons: The credit card does carry an annual fee after the first year, and the weight of the card is not as heavy as other metal credit cards listed. Also, the interest rate on purchases may be higher for those with less-than-perfect credit. 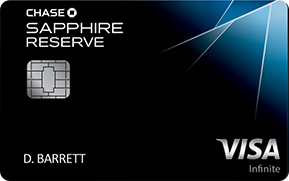 Another metal credit card option from Chase is the Chase Sapphire Reserve credit card. This is a popular choice, so much so that the first two months after launching the card, Chase ran out of metal to create both the card itself and the luxe packaging it comes in. 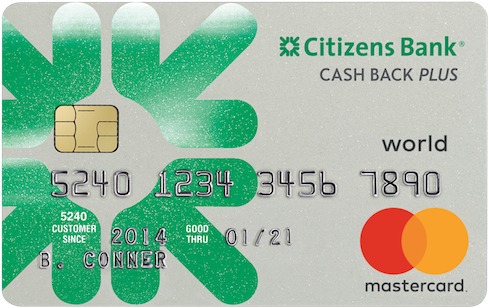 New cardmembers were initially given a plastic version of the credit card, but the metal option is now back in production and offering some serious weight. 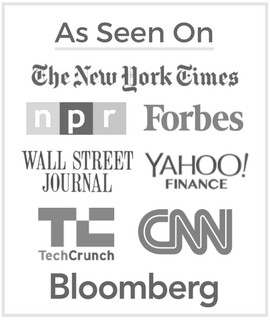 The card has a sleek metal look, but its appeal comes more from its benefits and perks than anything else. Rewards: This metal credit card earns three points per dollar spent on travel and dining purchases and one point for all other purchases. Cardmembers also receive a 50% increase on their points value when redeeming rewards through the Chase Ultimate Rewards site. There is a $300 statement credit offered each year for reimbursements for travel purchases charged to the card; you’ll also enjoy premium travel benefits, no foreign transaction fees, and purchase protection. Pros: The Sapphire Reserve credit card from Chase is a great choice for those who travel frequently and want extra benefits when doing so. The card offers clout with its sleek metal design, but the rewards potential for travel and dining purchases are higher than many other metal credit card options available today. Cons: The annual fee is significant, meaning this is only a good option for those who spend enough to recoup the fee in rewards or other benefits earned. The card also charges $75 per authorized user, and the interest rate is higher than some other metal credit card options on this list. 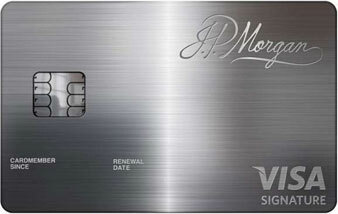 Technically another option from Chase, the J.P. Morgan Palladium card is one of the most luxurious metal credit cards out there. The credit card is designed for big spenders with deep pockets and is made from palladium — a rare metal — and trace amounts of 24K gold. This makes the card substantial in its plunk factor, as does the fact it is only offered to private banking customers of J.P. Morgan Chase who meet net worth and income requirements. The credit card offers several unique perks, most of which are a secret to the public. Sign-up Bonus: There is no initial sign-up bonus for the credit card, but cardmembers who spend at least $100,000 each year receive an automatic 35,000 rewards points. Rewards: Similar to other Chase options, the J.P. Morgan Palladium card offers three times the points on dining and travel purchases and one point per dollar spent on all other purchases. The credit card has no limit on the number of points you can earn. Cardmembers also receive 50% more points when they’re redeemed through the Chase Ultimate Rewards site. Pros: This heavy metal credit card brings more clout to the table than potentially any other credit card option available today. It is designed for the ultra-wealthy, and it shows. The rewards potential with the card are impressive, and cardmembers who spend enough receive an annual rewards bonus higher than most other card options. Cardmembers also enjoy special perks such as access to exclusive events and entertainment, airport lounges, and a $300 annual travel credit. Cons: This metal credit card is only available through an invitation to select high-net-worth J.P. Morgan Chase private banking customers. The annual fee is one of the highest in the market, and spending requirements to receive the annual rewards bonus are substantial. The American Express Centurion card is another elusive option for those who meet the requirements to receive an invitation. This metal credit card is fondly referred to as the Black Card due to its titanium composition and serious plunk factor. American Express was one of the first to provide a metal credit card for its elite customers, and the Centurion card remains a highly coveted option. However, American Express does not release much information about the credit card, nor does it market it to any demographic other than its elite circle of customers. Rewards: The rewards with the American ExpressCenturion card are not well-known, but cardmembers do earn points through the card issuer’s Membership Rewards program. There is also a discount offered when opening other American Express credit cards, including the Gold and Platinum options. Cardmembers receive an annual airline rebate and credits when booking travel through the Membership Rewards site. 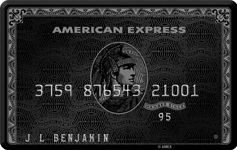 Pros: The American ExpressCenturion Card is one of the most coveted metal credit cards available today. Although the rewards and perks of the card are kept quiet, American Express offers some of the most valuable rewards available to cardmembers. Cons: The initial fee for the card — alongside the significant annual fee each year — means you have to spend big if you’re going to reap any rewards from the card’s use. Also, the card’s invitation-only status means few people will ever get the opportunity to see what it’s all about. 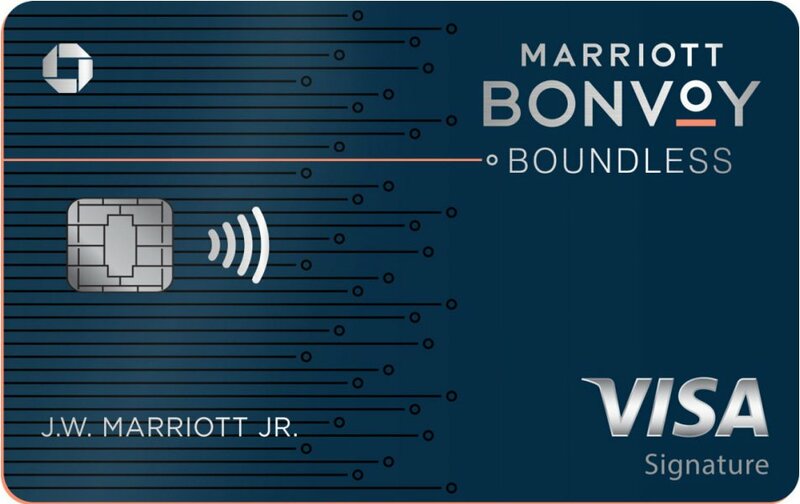 Yet another metal credit card option from Chase is the Marriott Bonvoy Boundless credit card, previously known as the Marriot Rewards Premier Plus card. The weight of this updated and refreshed credit card is comparable to other travel rewards cards, albeit less than what cardmembers feel and experience with luxury cards. The rewards credit card is designed for cardmembers who are frequent travelers and prefer Marriott, SPG, and Ritz-Carlton hotel stays when traveling. Rewards: The rewards on this credit card are impressive, including six times the points per dollar spent on all Marriott Bonvoy purchases at participating hotels and resorts. Cardmembers also earn two times the points on all other purchases. One free night is awarded each card anniversary. Pros: Cardmembers receive an automatic upgrade to Silver Elite status with the Marriott Bonvoy rewards program when they have this metal credit card. Gold status is available when you spend $35,000 each year. Cardmembers also have access to 15 Elite night credits per calendar year. Cons: This metal credit card is only well-suited for those who prefer Marriott Bonvoy accommodations when traveling. Also, there is no introductory APR or waiver of the annual fee for the first year, making this card potentially more expensive than others in its category. A metal credit card option from Barclay is also available to those who meet certain income and net worth requirements, although these criteria are far less stringent than some other top-tier cards. The Mastercard Black card offered by Barclays is a stainless steel credit card with some serious weight. Its sleek black design makes it seem like a competitor to the invitation-only American Express option, but the card has a lower barrier to entry. Rewards: All purchases earn one point per dollar spent, but rewards redeemed for airfare are worth two times their value. Cash-back redemptions are worth 1.5 times the value. Cardmembers also receive an annual airline credit of $100, access to Luxury Card Travel perks, and a 24/7 concierge. Pros: The Luxury card from Barclay is one of the most accessible metal credit card options available today. Cardmembers do not have to wait for an invitation to apply to receive the same clout as other substantial metal credit cards. The rewards potential with the card is also fairly impressive, with no limits on earnings or redemptions. Cons: The annual fee is relatively high for this metal credit card, and while the APR for the card is relatively low, it is only available to cardmembers with strong credit and high income. The card also has some limitations on how rewards can be redeemed, and earning potential may not be as high as comparable cards in the same category. When choosing between metal credit card issuers, it is beneficial to take a close look at the quality of the benefits being offered, not just the weight or feel of the card itself. If you are a frequent traveler, getting a metal card that comes with significant travel benefits such as statement credits for travel purchases and airport lounge access may be a smart choice. If you want more of a cash-back card or flexibility in your rewards redemption, select a card that offers rewards without restrictions. You should also be aware of the costs associated with metal credit cards. Most metal credit cards come with a high annual fee, which can be difficult to justify if your spending level is not high enough each year. Be sure to consider this expense when choosing your card. Interest rates vary widely, as does your chances of being approved based on your credit history and score. Having a metal credit card feels like a status symbol for most, and it certainly can be when you consider the rewards offered with the card you choose. However, it is necessary to weigh the potential benefits of the card, including its plunk factor, against the costs you will pay each year for having it in your wallet. If a metal credit card doesn’t meet your needs, be sure to compare the best credit cards reviewed by LendEDU.